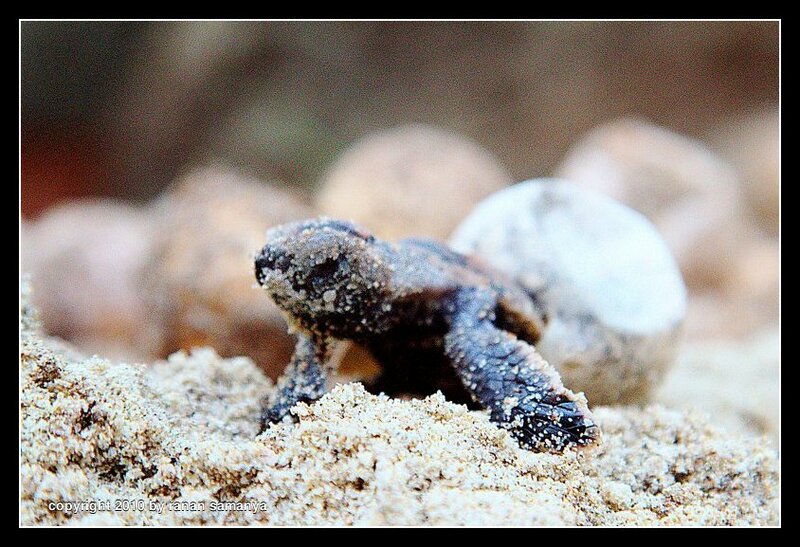 Here are the first crawls of a hawksbill turtle (Eretmochelys imbricata) into this cruel world. 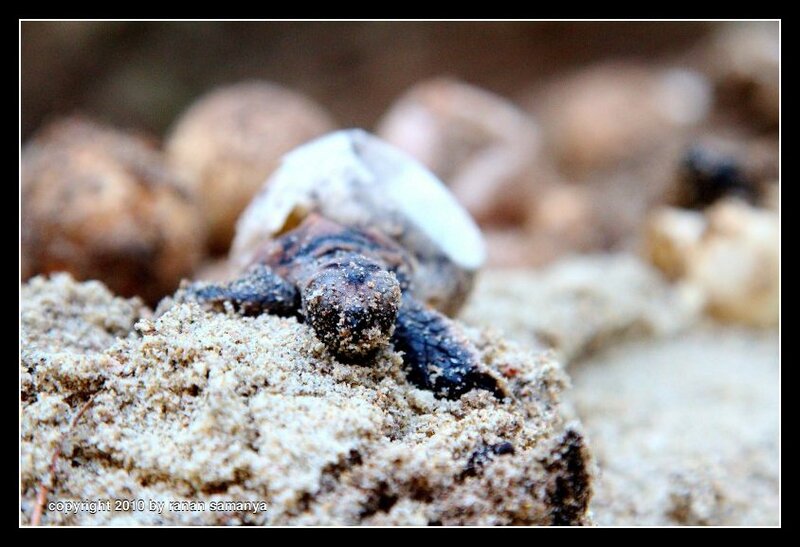 One of 75 hatchlings that we released last week with the villagers in Segiling, Bintan. This season they managed to save two nests and maintained the eggs in their own hatchery. The slightly protruding plate (distinct from the first image) will develop into the inter-prefrontal and frontal scales. 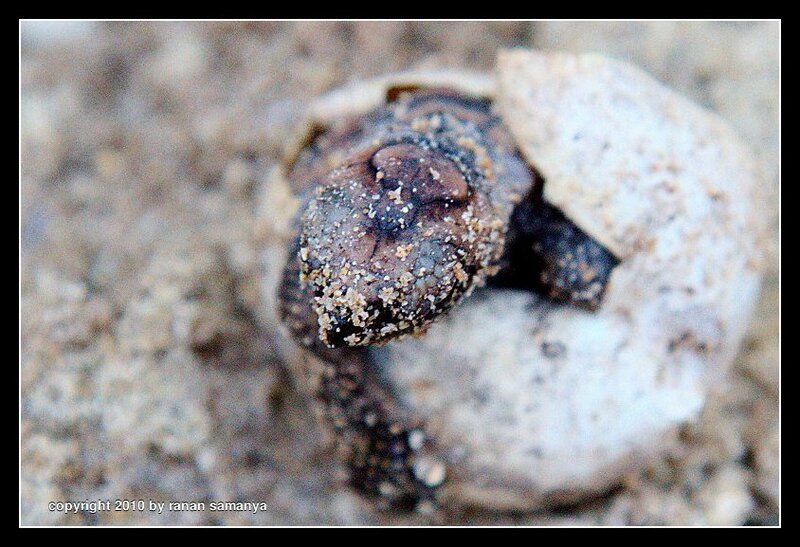 On the background, a big percentage of infertile eggs with slightly dark brown color.